With the Disney/Fox merger finally at a conclusion, the monster comic book studio Marvel has earned back the rights to the majority of its characters, namely Wade Wilson, better known by his alias Deadpool. Actor Chris Hemsworth, who has portrayed Thor in eight films for the Marvel Cinematic Universe, took to Instagram to welcome Ryan Reynolds and the Merc with a Mouth to the studio. Reynolds has portrayed the red-suited mercenary since 2009’s X-Men Origins: Wolverine, which was derided by critics and audiences for mishandling the fast-talking and oft-profane character, and went on to help bring the fan-favorite role to life in a much more celebrated manner with 2016’s Deadpool and its 2018 sequel, all of which were set in Fox’s X-Men Marvel universe. But now that Disney has acquired the rights to the franchise, fans have wondered whether the 42-year-old star will continue playing the character and if he will be apart of the MCU, but given Disney’s inclusion of Reynolds’ portrayal on their new website homepage and CEO Bob Iger stating interest in continuing the franchise in its R-rated fashion, chances are still high Reynolds will continue with the role. Hemsworth first made his debut in the role of the Asgardian god in 2011’s Thor and continued to reprise the role in its two sequels, The Avengers and its two sequels and a cameo appearance in the post-credits scene for Doctor Strange. Though Hemsworth’s future with the MCU is still not technically confirmed, the latest rumors are swirling that the 35-year-old Australian native will be moving on to greener pastures following the upcoming blockbuster Avengers: Endgame, including a lead role in the sci-fi spin-off sequel Men in Black International, which is set to hit theaters on June 14. Avengers: Endgame is set to hit theaters on April 26. 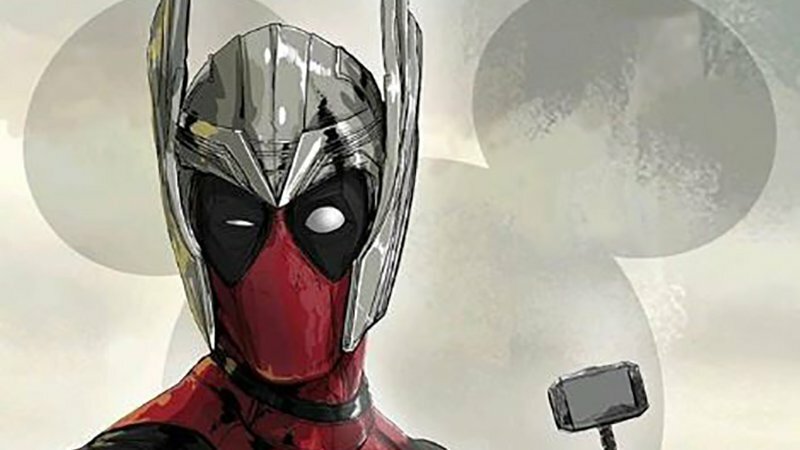 The post Thor’s Chris Hemsworth Welcomes Deadpool’s Ryan Reynolds To Disney appeared first on ComingSoon.net.